The USSSA Spring Championships Dual Super NIT Tournament is a yearly event attracting teams from all over the US and Canada. Players must be born in 2000, between May 1 to December 31. 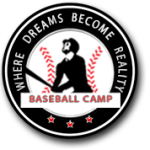 The BLE trip will include two days of on field workouts and intersquad/exhibition games followed by the tournament running March 20 – 22 (four games guarantee). Along with the Training and tournament, this trip will also include the opportunity to watch an MLB Spring Training game as well.